Hamam is an old Turkish bath. 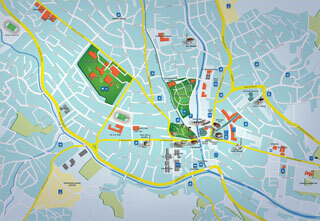 It is very close to the old town on the right bank of the river Raška in the center of the city. It was built in the other half of the 15th century. It had double bathroom which was separated for women and men. There were many rooms and each of them was covered with dome. There were eleven domes. 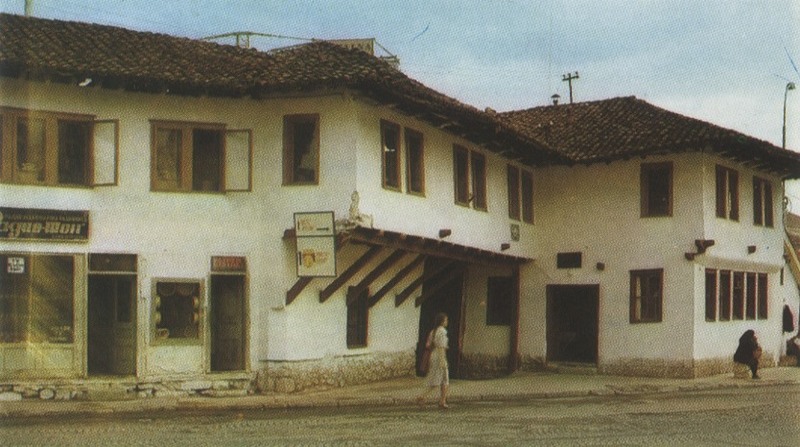 On the north side of Hamam there was spacious šadrvan which was designated as a waiting room and a changing room. On the south side there was hazna – so called room for heating water. Hamam was founded by Isa-bey Ishakovic. This monument of Islamic architecture is protected by the state and it is a monument of great importance. 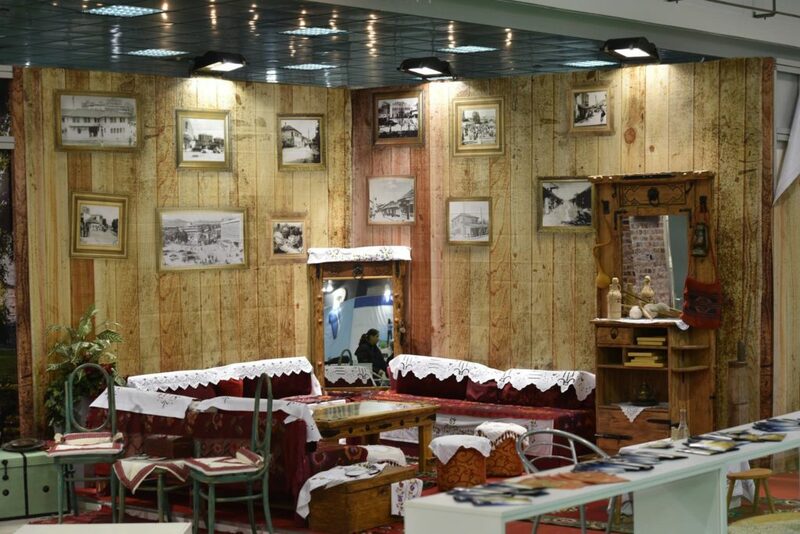 There is also Hamam in Novi Pazar Spa which until recently worked. 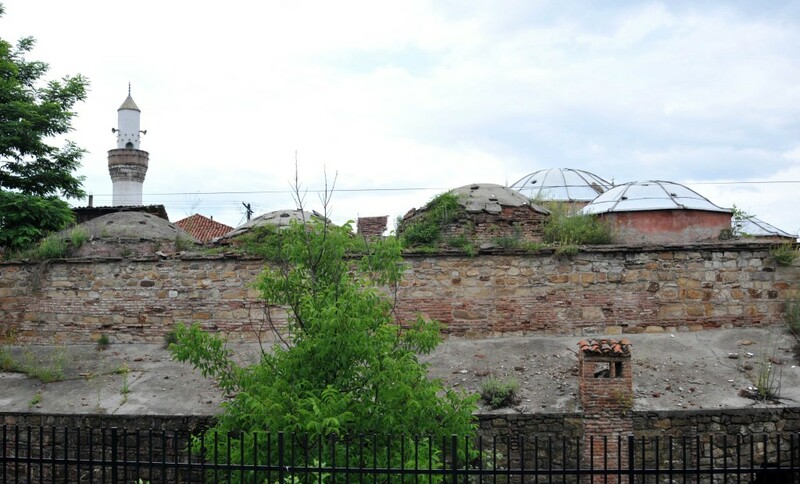 The ruins of another Hamam are discovered nearby City Museum. Mekteb in the yard of the mosque, three households for the imam, the famous han, six shops next to the hamam, six tanner shops and seven watermills next to the bridge, on the banks of Raška River. 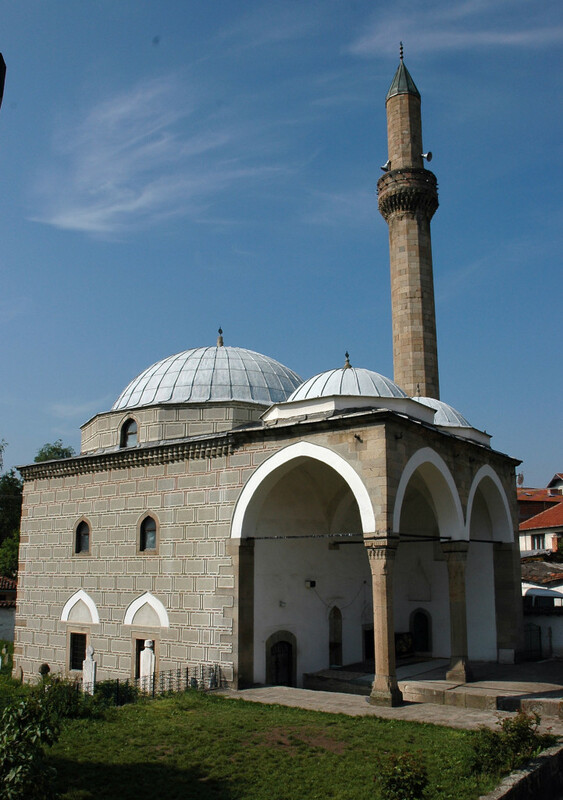 Arab mosque was first mentioned in 1528 and it is one of the oldest buildings in Novi Pazar. In folk tradition there is a story about an Arab Hasan Čelebi after whom a mosque was named. However, according to the data from the 16th century Hasan Čelebi or Hasan – bey as a founder of the mosque, but there are no data which determine his ethnicity. A fire devasted the mosque in 1689 but later it was restored. 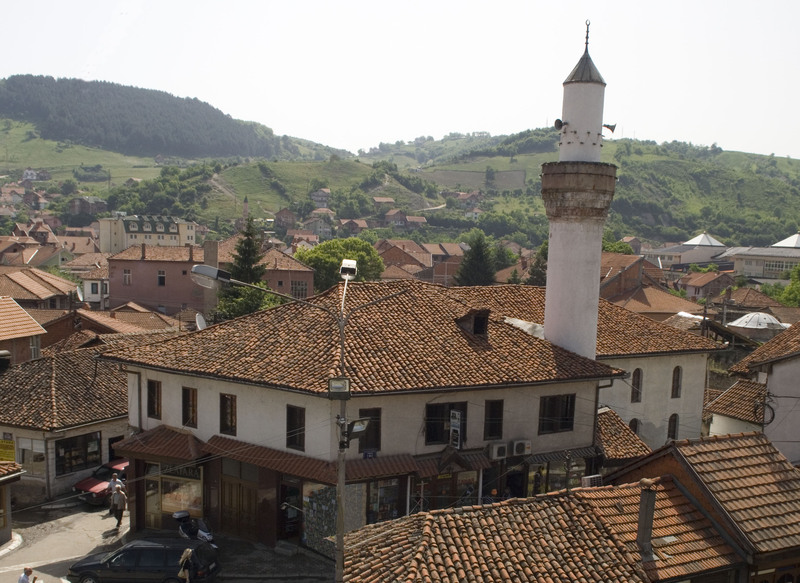 It is possible that it was restored by an Arab officer who was stationed in Novi Pazar. There is a big grave known as Arabs grave at big local graveyard. This caravansary near the main city square was built in the 18th century. On the ground floor there used to be a stable (where the horses were tied), and on the floor above there was a lodging for passangers and traders who were travelling from Dubrovnik across Skopje and Novi Pazar. This is the oldest han in Serbia and the most beautiful object of this kind. This church is the oldest monument of old church architecture in Serbia and even in Balkans.It was the former seat of bishops of Raška. A church dates from the 8th century but it’s probably older date. The base of the church has its unique circular shape in construction with a central cupola and three radial apses are visible from the inside. It dates from Byzantine period and frescoes dates from the 10th, 12th and 13th centuries. There used to be former early – Christian church which was built in the 7th century. During archeological excavations inside the church a collection consisting of 92 gold amber pieces (which dates from the 5th century) was found. 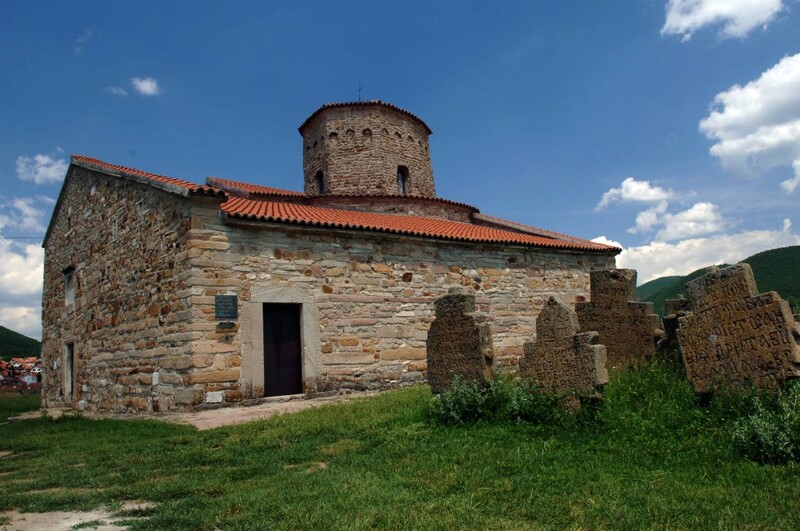 Although the Church of the Holy Apostles Peter and Paul is conserved in 1960, the most recent archeological research excavated tombs of Illiryan nobleman from the 5th century BC which document that the church is the oldest in the Balkans. Church of the Holy Apostles Peter and Paul is commonly known as Church of St. Peter. This is a monastery of Serbian Orthodox Church dedicated to Saint George and it is built on a hill above the city of Novi Pazar within the complex of Stari Ras. Monastery Đurđevi Stupovi is one of the oldest Serbian monasteries. Monastery was built by the country ruler Stefan Nemanja in 1171 and was painted in 1175. 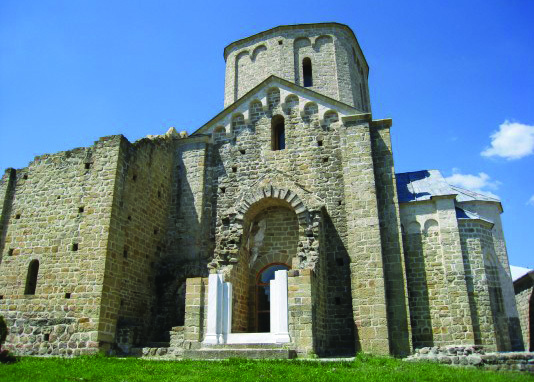 It is among the jewels of medieval Serbian state put on the UNESCO World Heritage list. This monastery has survived for last 830 years, but for 300 years it was in ruins. For the last 40 years the monastery has undergone a complex reparations process. 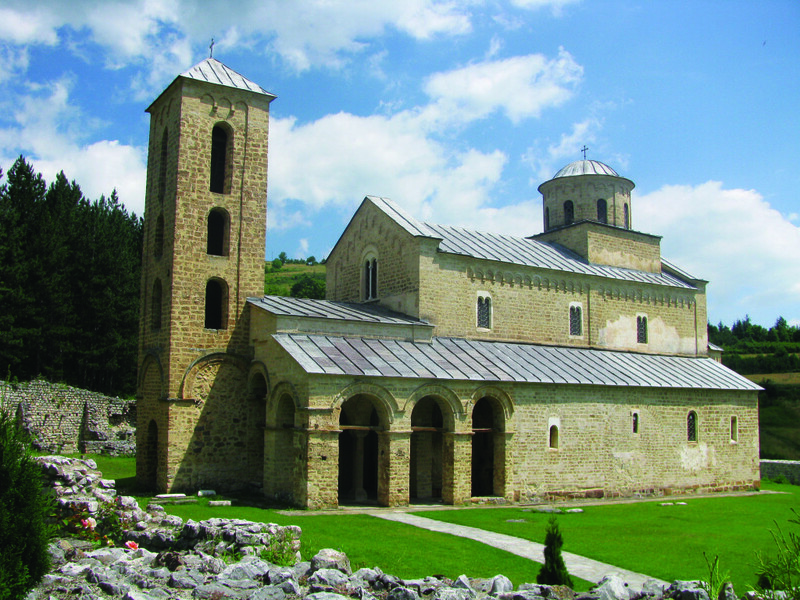 Sopoćani Monastery is one of the most significant medieval monuments in our country. Sopoćani frescoes are the real masterpiece of art. The relics of King Uroš I and part of the relics of Saints Cosmas and Damian are kept in monastery. Sopoćani Monastery is the magnificent endowment of King Uros I (1243-76), the youngest son of the King Stefan the First-crowned. The year of construction is unknown. It is supposed that it was built during the mid-13th century by the King Uroš I. 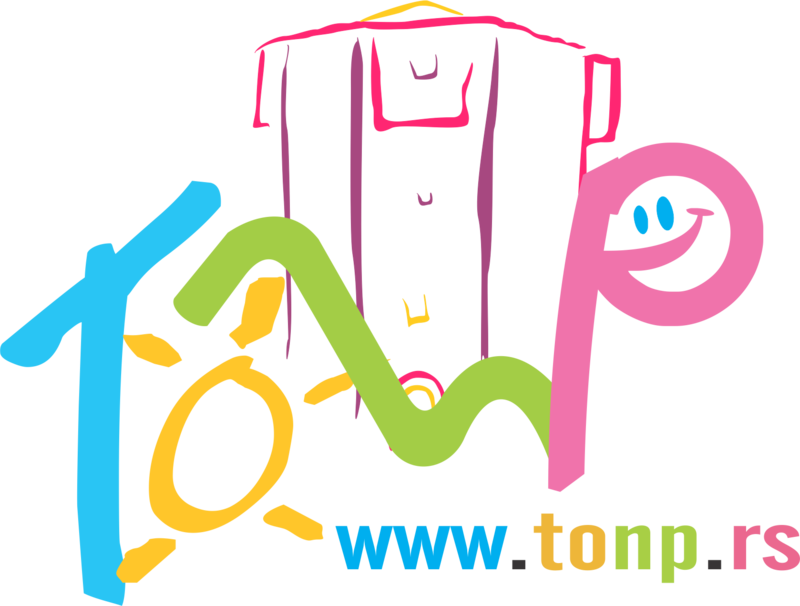 Name Sopoćani derives from the Slovenian word sopot which means the spring. Monastery is located near the springs of Raška River. There is not much data about the monastery before the Ottoman Empire in the region. In that tragic case Sopoćani Monastery was ruined and set aflame by the advancing Turks who chased the rebellious Serbs northwards. The frescoes and icons deserve a special attention. 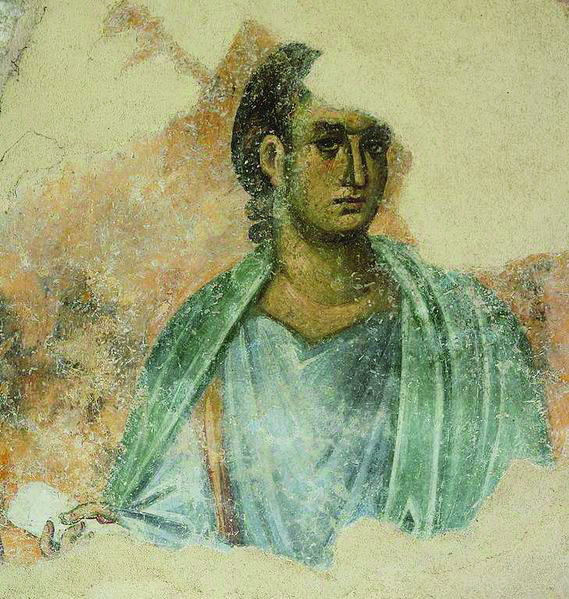 The walls of the monastery are adorned with frescoes of the members of Nemanjić dynasty, Uroš I, his wife Helen of Anjou, Uroš’s mother, brothers and children. South of the door leading into the Church are figures of Emperor Dušan and Jelena and their son Uroš. Emperor Dušan helped with the construction of the monastery. 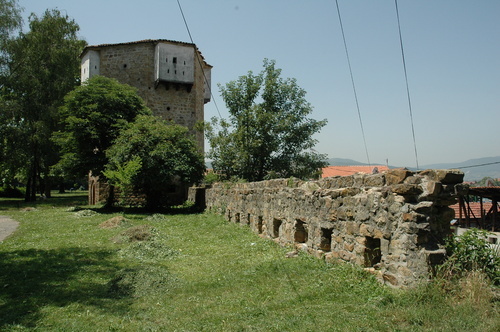 The King Uroš spared no details and money in a construction of the monastery. Although the artists who painted the walls of the monastery are unknown, we know that they came from Constantinople (today Istambul). The walls of monastery were painted with the limes and the colors of high quality that still remain although the monastery was in bad conditions for more than two hundred years. Besides the frescoes of Nemanjić dynasty there are other frescoes: cycles of the Great Feasts: Crucifixion of Christ, Descent into Hell, Nativity, Presentation in the Church and Transfiguration are particularly impressive. The founder’s composition is located on the southern wall of the naos next to the sarcophagus where King Uroš I, the founder of Sopoćani Monastery was buried. This composition depicts Christ on throne with the Virgin Mary leading Stefan Nemanja, Stefan the First Crowned and King Uroš carrying the model of the Church. The central position in the painting is reserved for Christ holding in his hands Mary’s soul. In the lower zone are the tall figures of prophets that give the impression of being both physically strong and spiritually wise. In the apse one can see the Adoration of the Lamb with a line of Serbian Archbishops joining the rest of the Christian saints. The most impressive among Sopoćani Monastery frescoes is the scene of the Dormition of the Virgin Mary, bearing intentional similarities with the composition of the Death of Queen Ana. This fresco was proclaimed the most beautiful medieval fresco in the world at the Exhibition in Paris in 1961. The Sopoćani paintings are works of the most refined quality and purity of style in the Byzantine art of that period. The talented artists of the Byzantine school at Sopoćani, in the beginning of the second half of the 13th century, produced a work which through simple, serene and perfect harmony of its features, integrated into the established concepts of monumental art, has never been equaled in the realm of medieval art in Eastern Europe. This particular group of monuments realistically portrays the earliest center of civilization in the ancient Serbian state and contributes ample evidence of the birth and development of artistic and cultural activity in medieval Serbia, which through its achievements, was to attain the highest standards in the art and culture of the Byzantine Empire and the regions of central Europe.